Let’s begin with an obvious and recurring issue. Every year, we’re back to square one with our MyPLAYER. Previously that meant dropping back to 55 Overall, though in NBA 2K18 and NBA 2K19, we’ve started out slightly higher with an Overall of 60. It’s a painful process, but there is a way to alleviate it: namely, microtransactions. It should also be noted that upgrades have jumped up in price in recent years. To hit the 88 Overall cap with a new MyPLAYER in NBA 2K17, it cost around 150,000 VC. It’s cost around 190,000 VC to hit the initial cap of 85 Overall in NBA 2K18 and NBA 2K19, so not only is it a setback, it’s now more expensive for a smaller leg up. 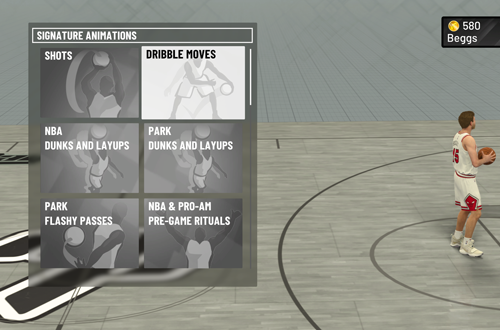 The grind is more tolerable offline where you can adjust gameplay settings and play at your own pace, but it’s still tough to go from your upgraded player in last year’s game to an underpowered avatar with low ratings, no Badges, and basic moves. What I’d like to see is a returning player bonus; a one-time boost for one MyPLAYER, based on your progress in previous titles. A one-time transfer of your VC balance from the previous game might also help here, even if the exchange rate isn’t 1:1. It would show a lot of goodwill, but it would also eat into profits from recurrent revenue, and make it harder for the new game to push microtransactions. As such, I doubt it’ll ever happen. Going back to square one every year is a much bigger deal online, because you have to contend with other gamers. Ideally, this would be an even playing field where your progress and success is governed by your dedication to levelling up, and your skills on the sticks. That all goes out the window when pay-to-win mechanics are involved, because some gamers will indeed pay to win. That’s their right as long as the games offer that option, but it means you either grind hard to catch up, pay to upgrade your ratings sooner, suffer through playing with an underpowered player, or simply avoid online play. It’s Morton’s fork, or Hobson’s choice, depending on how you look at it. This is what the “stop whining, just don’t pay for VC” crowd fails to understand, or perhaps more likely, wilfully ignores. We can abstain from microtransactions if we so choose – as I’ve done so far with NBA 2K19 – but in doing so, we have to accept that the online experience will be less enjoyable because not everyone is going to do that. The gamers who are willing to pay extra to be 80+ Overall at launch are going to have an advantage, and they’re the ones that set the competitive balance. It would be less of an issue if there were deeper matchmaking options, but there aren’t. And so, 2K tries to force our hand: pay for a boost, or be at a significant disadvantage online. Another common piece of snark from the apologists who defend microtransactions is that Virtual Currency isn’t new. Indeed, it has been around since NBA 2K13, but the point is that it’s become more intrusive over the years. That’s why people complain now, even if they didn’t back then; it’s become a bigger issue, particularly as more and more content has been placed behind VC paywalls. Animations and other items that were once free have come to cost VC, forcing gamers to stingily budget. Certain items are also only available once you hit a set Overall Rating, encouraging gamers to level up quicker. Both are incentives to keep your VC balance high, buying it if necessary. Without a doubt, the peak of this pushy approach came in NBA 2K18 when we had to pay for haircuts, which is the sort of thing you might expect to see in a mobile Barbie dress-up game. 2K took a lot of heat for that – rightfully so – and their solution of discounting haircuts to 100 VC apiece was insufficient. To their credit, hairstyles and facial hair are free this year, and a lot of animations can also be picked up at no cost. However, we’ve gone from freely available bicycles to expensive bikes that must be purchased. We’ll come back to that one, but bottom line, placing more items behind an expensive VC paywall is an effective way of pushing microtransactions. If there’s one piece of advice that I’d give to anyone who is trying to avoid buying any VC in MyCAREER and the connected online experiences, it would be to not buy any cosmetic items until you’re swimming in VC and have no ratings upgrades available. However, it is tempting to get rid of the default brown shirt and grey sweatpants, so as not to look like a newbie in The Playground. 2K is obviously banking on that, with clothes that are ridiculously overpriced (especially when you calculate the in-universe value). Another trick is that every MyCAREER experience has its own clothing items, which must be purchased separately. This includes shoes and on-court accessories. 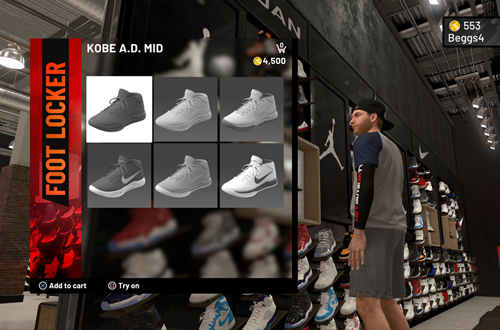 It’s bad enough that an NBA player has to buy their own shoes and accessories (all of which have rather ridiculous prices), but it’s an extra kick in the teeth that you need to buy those items again for 2K Pro-Am and The Playground. Sure, you can do without the throwback jersey or even the headband, but if you have a shoe deal, you need to wear that brand in every game, in every mode. If you’re playing all three, it can get quite expensive; you might even have to buy some VC to make sure you’re fulfilling your contractual obligations! 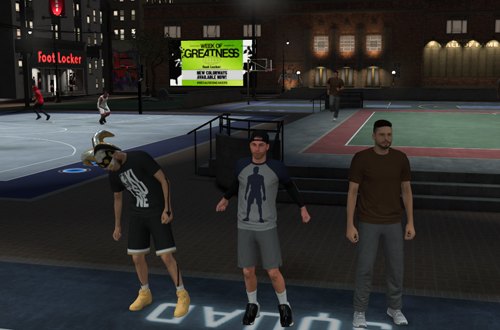 Fortunately, NBA 2K19 does comp us one pair of grey basketball shorts in Swag’s, and you can luck into free gear via the daily prize wheel. Now, not every gamer cares about Trophies and Achievements, and if you’re in that camp, this will be a moot point. They are something that a lot of gamers do strive for though, and in NBA 2K19’s case, there are Trophies/Achievements that rely on the user spending VC. These include getting a tattoo, purchasing a Skill Boost, acquiring and riding a bike in The Neighborhood, reaching 90 Overall, and playing a game of NBA 2K19 in your MyCOURT (you need to be 91 Overall to unlock the ability). If you want to take aim at collecting every Trophy/Achievement in NBA 2K19, you’ll therefore need to have a lot of Virtual Currency at your disposal. As I mentioned, bicycles were freely available in NBA 2K18, and could be ridden around The Neighborhood upon reaching 90 Overall. 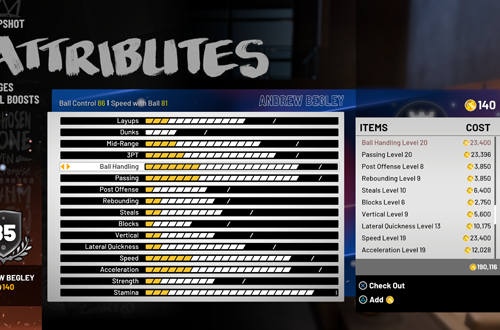 In NBA 2K19, you can’t even enter Wheels until you’re 85 Overall; you also need to be 91 Overall to buy a bike, which will set you back 100,000 VC. 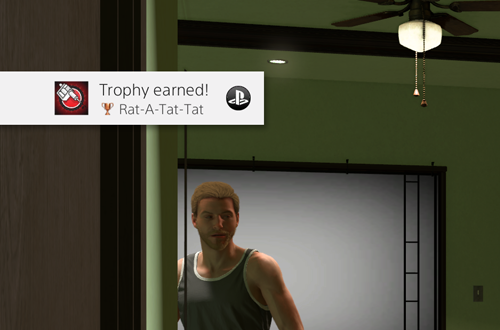 In other words, that Trophy represents a lot of VC, which is most easily obtained through microtransactions. Obviously these are optional goals, but it underscores 2K’s aim of encouraging VC purchases. It’s a more subtle technique compared to hampering gameplay and the online experience, but if you’re a completionist, they might just get you to shell out real dollars for virtual coin. Have you avoided microtransactions in NBA 2K, or have you spent some real money on Virtual Currency, either for MyCAREER or MyTEAM? Have you been put off the grind, or do you enjoy the long journey? Have your say in the comments below, and as always, feel free to take the discussion to the NLSC Forum! That’s all for this week so thanks for checking in, have a great weekend, and please join me again next Friday for another Five.